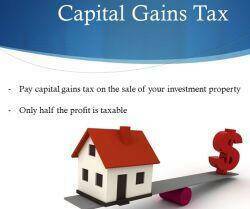 Are negative gearing and capital gains tax discounts sustaining your investment success? From an economic standpoint, housing affordability and first home owner participation (and the politicisation of these emotive issues), should in the main, be considered a distraction – albeit the subject of popular debate (usually near election times for the Federal government in Australia). There is no plausible evidence that these areas of the law cause the outcomes emotively attributed to them in the course of such debates: and, if they could be established as the root cause of ‘the problem’, would we want to see them removed from the law in any event? Based on the broad reliance on the operation of these aspects of Australian taxation law and practice, it is apparent that they are important aspects of how our economy works. Negative gearing is a popularly-adopted term only, not a matter of statute. Basically, it describes the situation when the interest cost of borrowing (gearing) to make an investment (active or passive), exceeds the otherwise net income derived from that investment in any taxation (financial) year.1 Hence, we can say that negative gearing is gearing that results in a negative financial outcome – a loss of revenue. Provisions in the Australian taxation law allows taxpayers (including businesses and investors in those businesses) to have some certainty about the cost of the investment risks they undertake. In return, legislators (representing the interests of the community that elects them); and the Taxation Office (supervising the application of the legislation as it stands from time-to-time), expect these investments to eventually return to being a positive contributor to the economy. No doubt, investors also look to this eventual point of success. Knowing that the interest paid on geared investments is tax deductible, encourages entrepreneurs to take a risk to invest in business assets such as plant, equipment, intellectual property – and real property, to implement their investment strategies. These are the active investors. Passive investors in these business operations, are ‘shareholders’: they too can participate in the operation of the tax law, provided there is an expectation of a return on their investment. (In simple terms, investment into a rental residential property is also considered a passive investment.) In this context, taxation through negative gearing deduction for interest and related ‘operating’ costs, is a vital investment success contributor. If this aspect of taxation law is removed with general application, companies such as BHP, Telstra and ‘the Banks’ would all be much smaller businesses and there would be a significant, if not devastating, impact on our economy. As was quickly evident in the political experiment in the 1990’s, removal of the negative gearing deduction for property investors, removes an important source of supply of investment homes with a reasonable rental opportunity for families unable yet, to afford their own home. How does Capital Gains Tax (CGT) fit into this debate? CGT became a matter for taxation law in 19852: prior to that time there were substantial Court cases fought over whether particular transactions were either ‘capital’ (free from income tax), or income (generally subject to taxation). In this context, we concentrate on the effects of the taxation law on the investor. Whilst CGT has implications for business operations as well, they are somewhat more complex – and in the main, irrelevant to the discussion of the effects of this law as an investment success contributor. For those pursuing investment strategy success, property held for investment (that can’t otherwise be determined by the Taxation Office to be ‘traded’ property) is also subject to the CGT discounting regime. This applies equally to portfolios in securities (shares, managed funds, etc), as it does to investment real estate. The implication of capital gain on the growth in value of investment assets as a contributor to investment success, is clear: if the gain would, but for the CGT legislation, be taxable, then the discount applied means that less tax will be payable and investment success more readily achieved. In some instances, the only opportunity for there to be a positive outcome from an investment, is to be found in the discounted gain. If further tinkering with the taxation aspects of capital gains is to be considered, modelling of the effects of the changes need to be broadly debated and understood – and if to be implemented, those effects clearly explained to the investing public. As much of the debate referenced in the opening paragraphs, is about residential property, are there investment principles that should be considered in relation to these taxation issues, relative to that market – particularly from an investment success standpoint? A key factor to consider: investments should stand on their merits! The returns from the investment should be viable regardless of any taxation benefits (that may not persist for the term of the investment); and they should reward the level of risk taken with investing (and with residential real estate some of the detractors are – destructive tenants, periods of vacancy, unpaid rents; and change in market valuation because of economic conditions and/ or local zoning changes) . How do you target investment success? The experienced advisers at Continuum Financial Planners Pty Ltd can walk you through processes4 that will help you identify investment goals and develop strategies to implement – and we offer to review them under ongoing service arrangements. We will collaborate with your taxation adviser to ensure the investment success contributor is fully availed if your circumstances suit. To learn more about the advised experience our clients receive, meet with one of our Team: phone our office (07-34213456), or complete the Contact Us form (and be assured of a prompt, courteous response) to make the arrangements. 1 We dealt with this matter in some detail in our article ‘Negative Gearing’ (which is updated as needed from time-to-time). 2 Of historical interest about the introduction of this ‘new’ head of taxation, is that it was brought on by the removal of Estate Tax (‘death duties’) at that time. 3 Our article, ‘Capital Gains Tax’ deals in more detail with the current discounting arrangements – and the documentary requirements that are critical to establish your taxable position. 4 Our Services Page outlines the process we follow: one that is applauded by peers and clients alike.